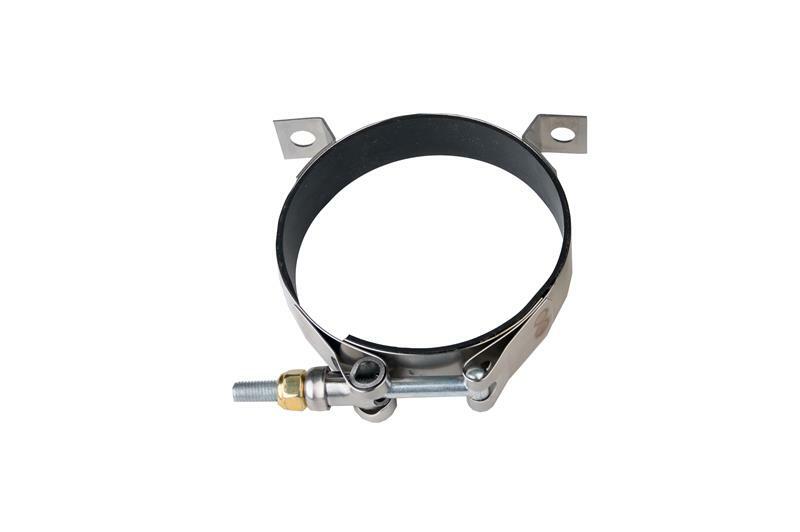 CNC Billet Fuel Filter Mounting Bracket for use with Aeromotive filter P/N’s 12301 and 12304. 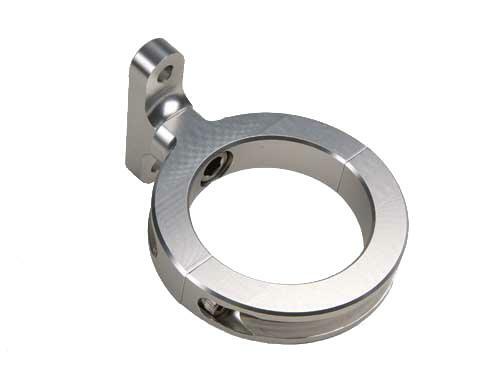 6061 T6 billet aluminum construction is lightweight and tough. Type II clear anodized finish for a durable, custom appearance. 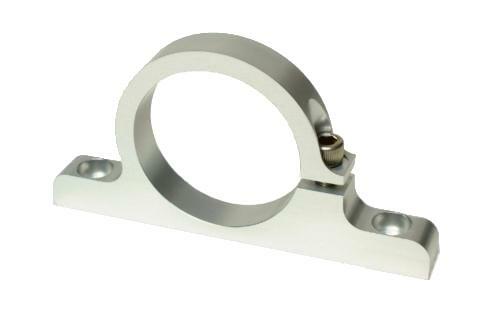 Low profile, slim line design secures filter in tight mounting areas. Designed for use with 2” O.D. Aeromotive, in-line fuel filters only, P/N’s 12301 and 12304. One per package, filter sold separately.